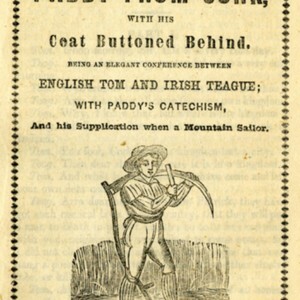 The Comical Sayings of Paddy From Cork, with his Coat Buttoned Behind. 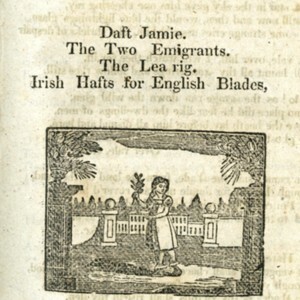 Being An Elegant Conference Between English Tom and Irish Teague; With Paddy's Catechism, And his Suplication when a Mountain Sailor. 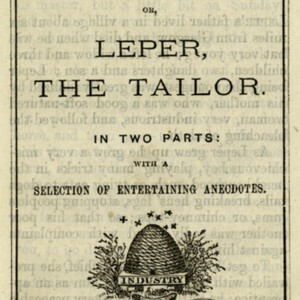 This chapbook contains a conversation between a man named Teague and his friend Tom. 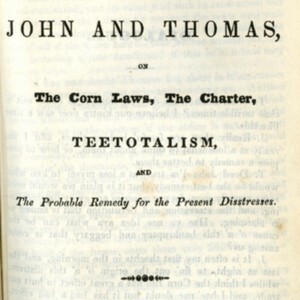 Teague describes to Tom the experiences of his lifelong travels, many of which have very comical undertones to them as Teague is not very bright. 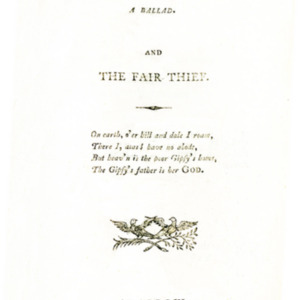 This chapbook contains the story of a young man who enjoys playing pranks on those he feels have treated him poorly. Also added is a selection of comical anecdotes. The Humours of Glasgow Fair. 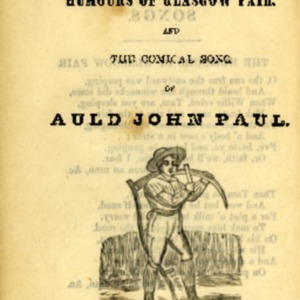 And the Comical Song of Auld John Paul. 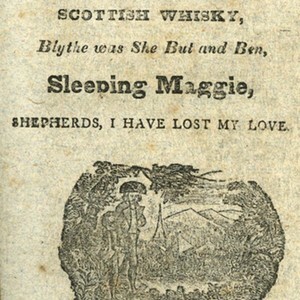 This is the story of a young women named Margaret who dines with her minister and his friends. Due to her inexperience in such a situation she proceeds to make a fool of herself. 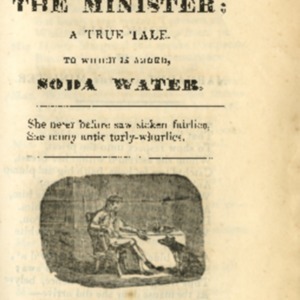 Also added is a tale of abstinence from drinking alcohol. 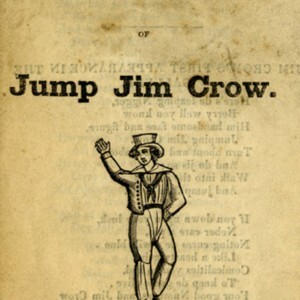 This chapbook contains 24 pages of jokes, anecdotes, and interesting stories. 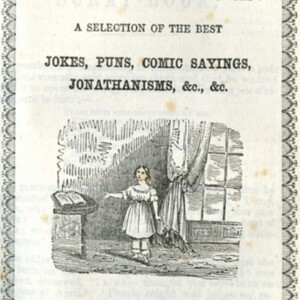 While many of the selections in this chapbook are of the humorous variety the topics have a great deal of range and also contain general interest stories.